Many people question the effectiveness of ‘Complementary’ therapies, often this is due to a lack of scientific evidence and understanding of how they work. 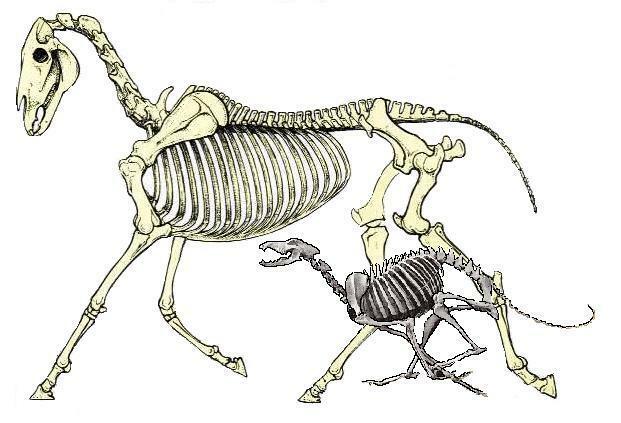 The techniques used by Animal-Balance have been tested by numerous scientific trials, the results have shown that Spinal Manipulation produces significant improvements in: Hip extension, stride length, motor function (movement), resting muscle tone and spinal mobility. In addition to this studies have found the techniques also result in changes to physiological function such as improved neural transmission, reduced neuron excitability and increased pain tolerance (for details of relevant research please see the base of this page). The central nervous system combines the brain and the spinal cord and co-ordinates all actions of the body. The spinal cord is housed within the vertebral column which is made up of individual vertebrae (Image 1. ), between each vertebrae is a joint at which the nerves exit the spinal cord and send and receive messages throughout the body. Each vertebrae has a natural range of motion which allows the spine to flex, for optimal nerve function (and therefore health) the vertebrae need to move freely without restriction to their range of motion. Ligaments attach bone to bone, their relatively inelastic structures provide stability to the joints by limiting or preventing mobility that would otherwise cause damage or weakness. Tendons are strong, elastic structures which attach bone to muscle, they transmit force from the muscles to the bones, aid absorption of concussion and store and return energy during locomotion improving the efficiency of movement. Muscles work as antagonistic pairs; as one muscle contracts and flexes the joint, the other lengthens to allow while maintaining appropriate tension to control the amount of flexion. Each Muscle is made up of individual fibres which contract and relax as a unit to generate force and therefore movement, when a muscle spasm occurs a small group of these muscle fibres become 'stuck' in contraction, the surrounding fibres are now required to work harder to produce the same level of force, ultimately limiting the function of the muscle as a whole. Muscle spasms usually occur near the muscle/tendon junction, pressure is transferred along the tendon to the bone restricting its movement, this is known as a misalignment and will place further strain on the surrounding structures. Since the muscles work as a pair, any restriction to the length of one will result in compensation to the length of its opposite, overtime this may result in: strain of the opposing muscle, further muscle spasms and misalignments, stiffness, changes in gait and ultimately loss of performance. When a misalignment effects a vertebrae it may become rotated on its axis in comparison to those on either side of it, restricting its range of motion. This restriction will place strain upon the ligaments and joint structures surrounding the vertebrae, having a knock on affect throughout the body. 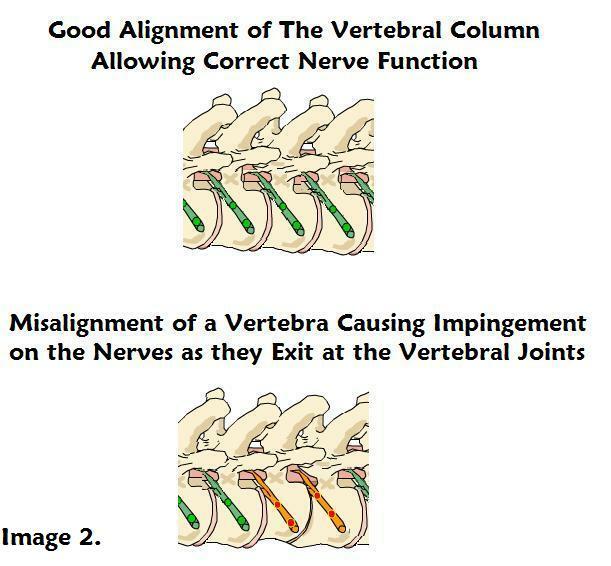 Although the change in alignment is very small it results in impingement on the nerves as they exit, this can result in pain, discomfort and ultimately limit correct nerve function (Image 2.). For optimal performance an animal needs to be free from pain, stiffness and discomfort; the vertebrae need to move freely without restriction to their range of motion, promoting physiological balance and long term health. Animal-Balance combines the use of McTimoney spinal manipulation and Sports Massage techniques. The adjustments apply a gentle, high speed impulse to the sight of misalignment releasing muscle spasms and promoting correct alignment of bone, while producing a natural healing response in the body. Combined with sports massage techniques to improve circulation, relaxation and aid soft tissue rehabilitation; Animal-Balance treatments provide relief from pain caused by nerve impingement and promote long term performance and health. 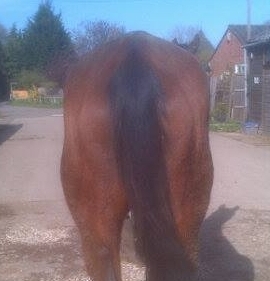 This ex racehorse presented with a visible left ventral pelvic rotation. The before and after pictures show clear improvement in pelvic symmetry. Hausler, K. Hill, A. Puttlitz, C. Mcllwrait, W. (2007) Effects of Vertebral Mobilisation and Manipulation on Kinematics of the Thoracolumbar Region. American Journal of Veterinary Research. (Vol. 68) Pp. 508-516. Chiropractic: General Principles and Clinical Applications. American Association of Equine Practitioners. (Vol. 46) Pp. 84-93. Passmore, S. Burke, J. Good, C. Lyons, J. Dunn, A. (2010) Spinal Manipulation Impacts Cervical Spine Movement and Fitts’ Task Performance: A Single-Blind Randomised Before-After Trial. Journal of Manipulative and Physiological Therapeutics. (Vol. 33) Pp. 189 – 192. Pickar, J. (2002) Neurophysiological Effects of Spinal Manipulation. The Spinal Journal. (Vol. 2) Pp. 357 – 371. Sandell, J. Palmgren, P. Björndahl, L. (2008) Effect of Chiropractic Treatment on Hip Extension Ability and Running Velocity Among Young Male Running Athletes. Journal of Chiropractic Medicine. (Vol. 7) Pp. 39 – 47. 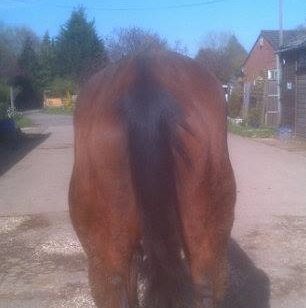 Wakeling, J. Barnett, K. Price, S. Nankervis, K. (2006) Effect of Manipulative Therapy on the Longissimus Dorsi in the Equine Back. Equine and Comparitive Exercise Physiology. (Vol. 3) Pp. 153 – 160.